The rights group accused soldiers of deporting refugees escaping Islamist violence, as well as attacking and sexually exploiting them. Cameroon is “punishing” refugees for Boko Haram attacks, HRW said. 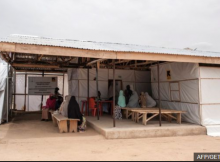 HRW said in a new report says, ‘since early 2015, the Cameroonian authorities have summarily deported at least 100,000 Nigerians living in remote border areas back to war, displacement and destitution in Nigeria’s Borno state. In carrying out these deportations, Cameroonian soldiers have frequently used extreme physical violence’. Earlier this year, the UN refugee agency (UNHCR) criticised Cameroon for forcibly returning hundreds of refugees to north-east Nigeria. It said the returns had “continued unabated”, despite the signing of an agreement ensuring that any returns would be voluntary.